“Our goal at Gen Con is to provide the highest-quality experience possible for as many gamers as possible,” said David Hoppe, Gen Con President. Gen Con, the largest and longest-running gaming convention in North America, has announced that it expects certain types of badges to sell out in the coming weeks as sales have surpassed the 90% threshold for its badge offering four days of admission to the show. The sellout of 4-Day badges will mark only the second time that this has happened in Gen Con’s 51-year history with the first sellout occurring in 2017. Prospective attendees are encouraged to purchase 4-Day badges quickly while limited supplies remain. The majority of Gen Con attendees purchase 4-Day badges; while single-day offerings provide more economical options to attend the show, including the convention’s new $15 Sunday-only badge. Children ages 10-and-under can attend for free with a child’s wristband option. Gen Con 2018 returns to the Indiana Convention Center Thursday, August 2 through Sunday, August 5. Last year marked a historic milestone for the convention as it celebrated its 50th show, setting record attendance numbers and selling out for the first time in its history. 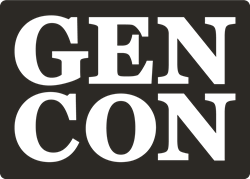 Gen Con LLC produces the largest consumer hobby, fantasy, science fiction, and adventure game convention in North America, Gen Con, The Best Four Days in Gaming!™. Founded in 1968 and acquired in 2002 by founder and former CEO of Wizards of the Coast, Peter Adkison, the company is headquartered in Seattle and the convention takes place each August in Indianapolis.